We’d love your help. 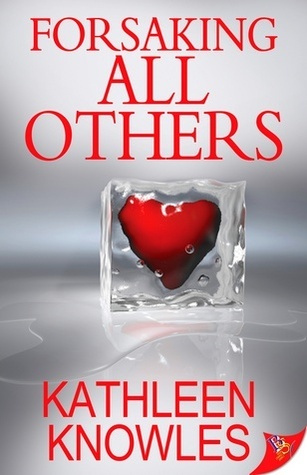 Let us know what’s wrong with this preview of Forsaking All Others by Kathleen Knowles. Everything changes when they meet in the summer when marriage equality came to California. As Proposition 8 threatens to take away everything Sylvia’s worked for, she fight Sylvia Ramirez believes in marriage, two people bound together forever in love. Jules Marvin is a contented polyamorist and has no plans to change. She enjoys her freedom and has no interest in monogamy. To ask other readers questions about Forsaking All Others, please sign up. Jules Marvin is our dog walker. She didn’t plan on such a job, but it There can be something magical about meeting someone you might never have bumped into yet when accidentally thrown together sparks start to fly. In 'Forsaking All Others', since the actual incident stems from a friend’s dog getting skunked, it is amazing that the dog walker and dogsitter ever hooked up. The rest of the story is even more extraordinary and enticingly special with some jalapeño peppers thrown in for added spice! While the writing was compelling enough to keep me reading, the premise - that a monogamous woman falls in love with a polyamorous one and vice versa and it all works out in the end...well, I guess it is a romance, so by definition not terribly realistic, but I just couldn't buy it. Kathleen Knowles grew up in Pittsburgh, Pennsylvania, but has lived in San Francisco for more than thirty years. She finds the city’s combination of history, natural beauty, and multicultural diversity inspiring and endlessly fascinating. Other than writing, she loves music of all kinds, walking, bicycling, and stamp collecting. LGBT history and politics have commanded her attention for many years Kathleen Knowles grew up in Pittsburgh, Pennsylvania, but has lived in San Francisco for more than thirty years. She finds the city’s combination of history, natural beauty, and multicultural diversity inspiring and endlessly fascinating. Other than writing, she loves music of all kinds, walking, bicycling, and stamp collecting. LGBT history and politics have commanded her attention for many years, starting with her first Pride march in Cleveland, Ohio, in 1978. She and her partner were married in July, 2008, and live atop one of San Francisco’s many hills with their three pets. She works as a health and safety specialist at the University of California, San Francisco.